Few modern actresses have a pedigree for playing badass women quite like Zoe Saldana. Between Avatar, Columbiana, and the Guardians of the Galaxy franchise, she’s developed a reputation as someone who knows her way around a fight. He latest film, Nina, will see her take on a different sort of fight as legendary singer Nina Simone, and it looks like a powerful experience. Check out the trailer below and prepare yourself to feel all of the emotions. 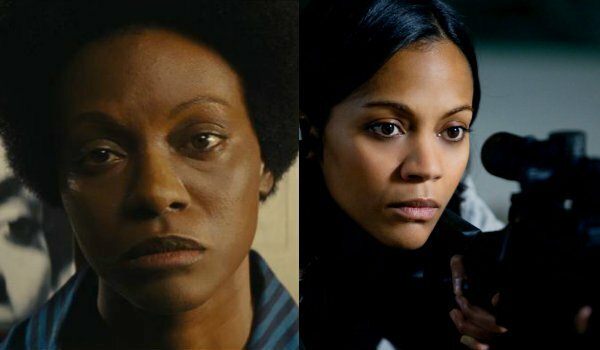 As you can see from above trailer for Nina, Zoe Saldana dug deep for this one. Portraying iconic musician Nina Simone in the twilight of her career, the film will examine one of the country’s most influential black singers as she struggles to manage her vices and get her life back on track. Based solely on the trailer it's clear that the film will manage quite a few different tones – allowing the audience to laugh at Simone’s pain in one scene, and forcing them to confront her demons in another. Although many members of the contemporary audience may not recognize Nina Simone, she’s a legendary singer and civil rights activist whose influence on many modern musicians cannot be understated. Covering a number of notable genres, her overall style served as an inspiration for a number of musicians all the way up to her death in 2003. Despite how great Zoe Saldana looks in the trailer, other people don't seem overly thrilled with her casting in the upcoming Nina Simone biopic. One of the reasons for the overall outcry stems from the fact that the filmmakers actually had to darken Saldana’s skin with makeup in order to achieve a complexion closer in appearance to that of the iconic singer. In 2012, Nina Simone’s daughter spoke out against Zoe Saldana taking part in the movie – and replacing singer Mary J. Blige – on the grounds that that actual Nina Simone would not have approved of the casting. It’s unclear at this point whether or not the controversy surrounding Nina will help or harm it by the time the film hits theaters. Despite the overall backlash against Zoe Saldana’s casting in the movie, she seems to give it her all and we are willing to reserve judgement until we actually see the finished product. We will bring you more information related to the powerful yet controversial Nina has it becomes available to us. The film was written and directed by Cynthia Mort (The Brave One) and co-stars David Oyelowo (Selma). It will hit theaters theaters and VOD later next month on April 22.